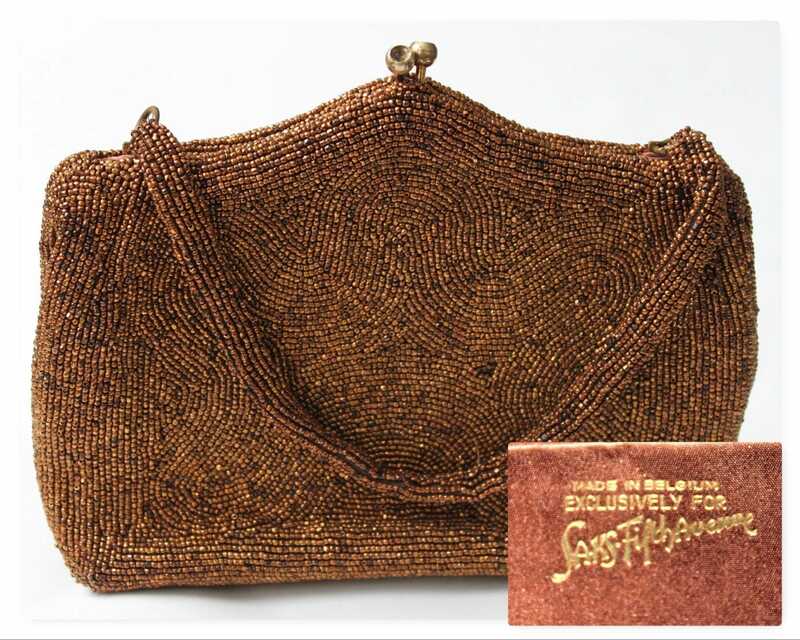 We have for sale an Exquisitely Beautiful Vintage Beaded Purse made in Belgium Exclusively for Saks Fifth Avenue. 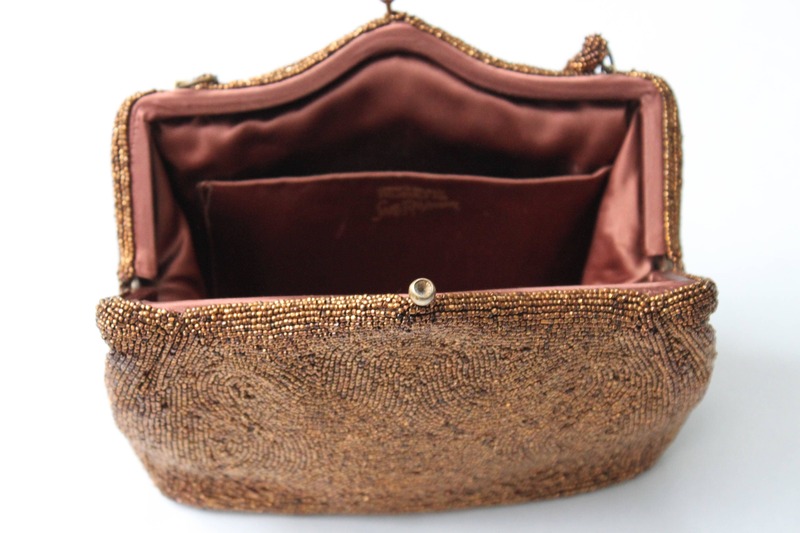 We were thrilled when we came across this gorgeous hand beaded Belgian purse with beaded handle and a soft storage bag. The exquisite combination of color and style is appropriate as was made in Belgium exclusively for Saks Fifth Avenue. 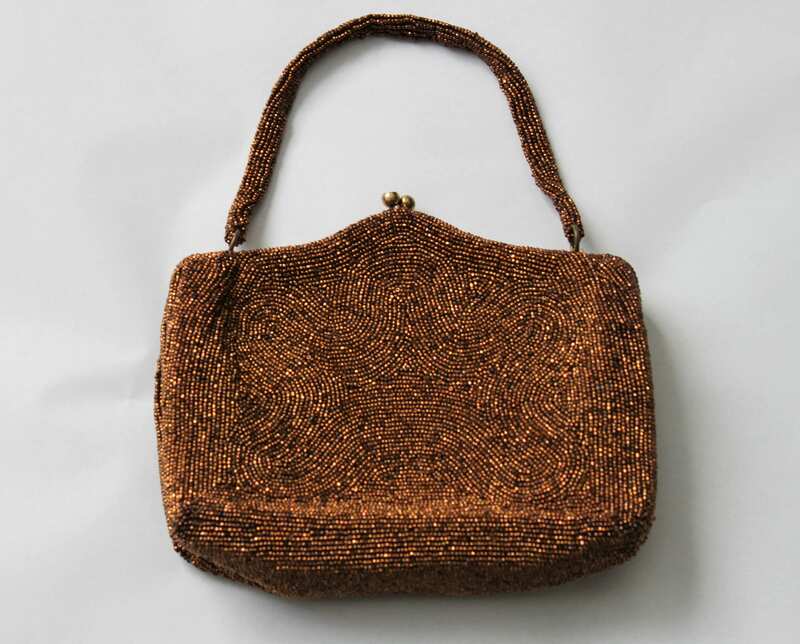 It has characteristics of a JOSEF purse which were made in Belgium in the 1950s but is not labeled with their name. 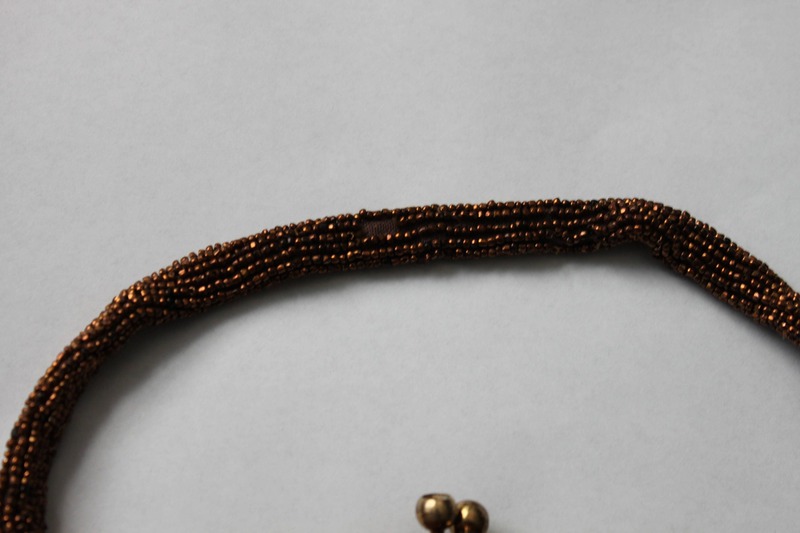 The front and back have a matching beautiful swirl pattern of sparkling bronzed copper seed beads which is stunning when light reflects off of the beads. The color complimentary burnished metal frame is hidden except for the closure clasp and handles rings/mounts. The copper colored lining is in very good condition. 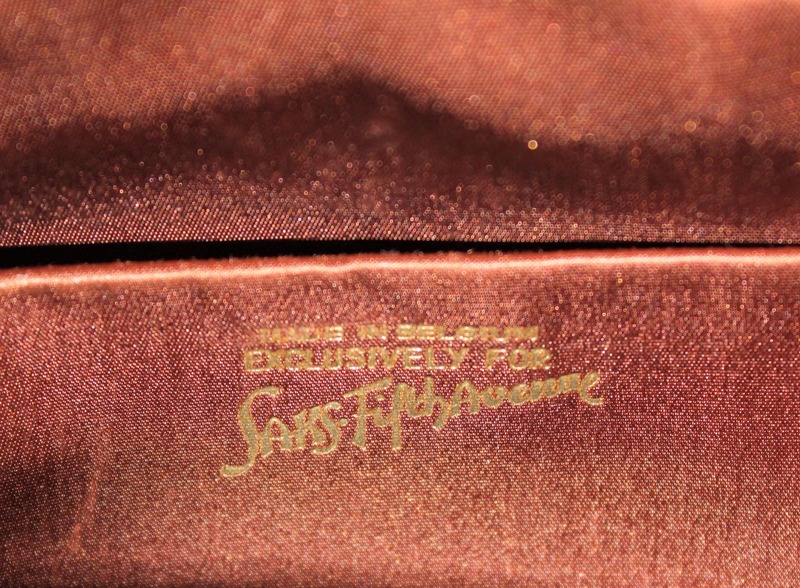 Stamped onto the inside pocket is gold lettering stating, "MADE IN BELGUIM EXCLUSIVELY FOR Saks Fifth Avenue. There is a black silk change purse included that has no label. 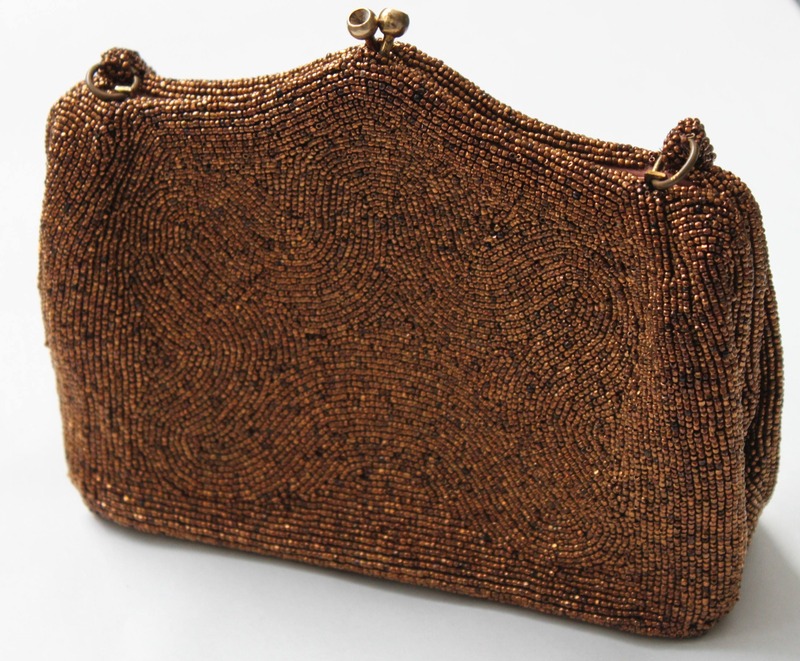 Beautiful and unique beaded purses have long been popular. Many of the earlier ones were hand beaded in Europe. Because of the artistry and craftsmanship of that era, many remain in wonderful condition. 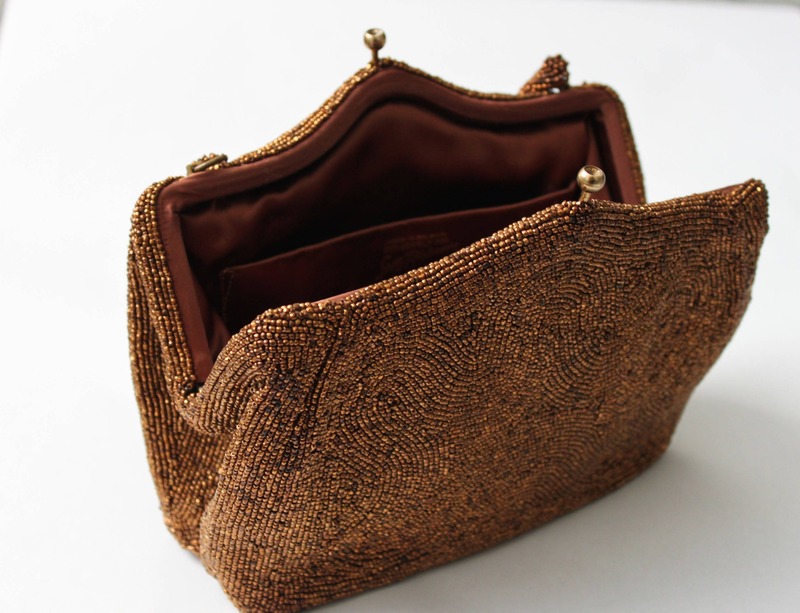 This purse is so versatile it could be used for formal as well as casual party occasions. 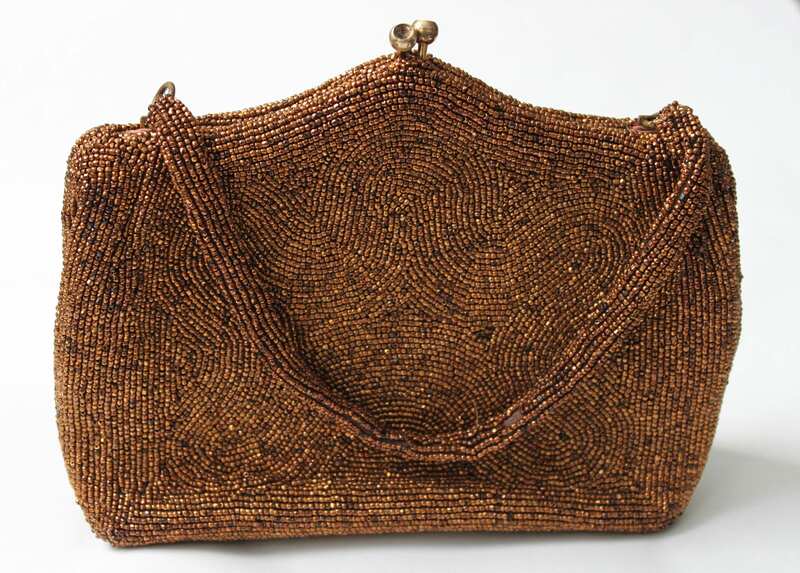 Some of the pictures look like there maybe some beads missing on the purse this is an allusion the beads are only a darker color, although there are five beads missing on the handle. 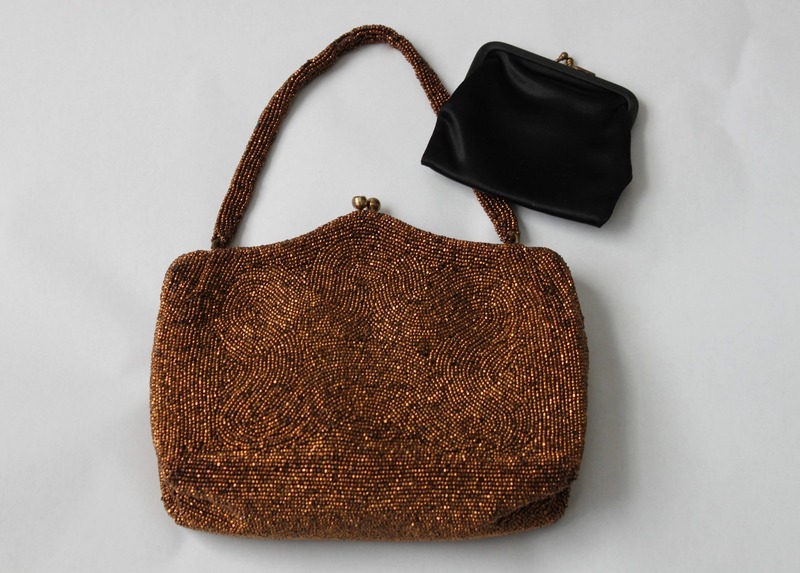 The bag it was stored in is an ideal size for this purse but it does not have a label. 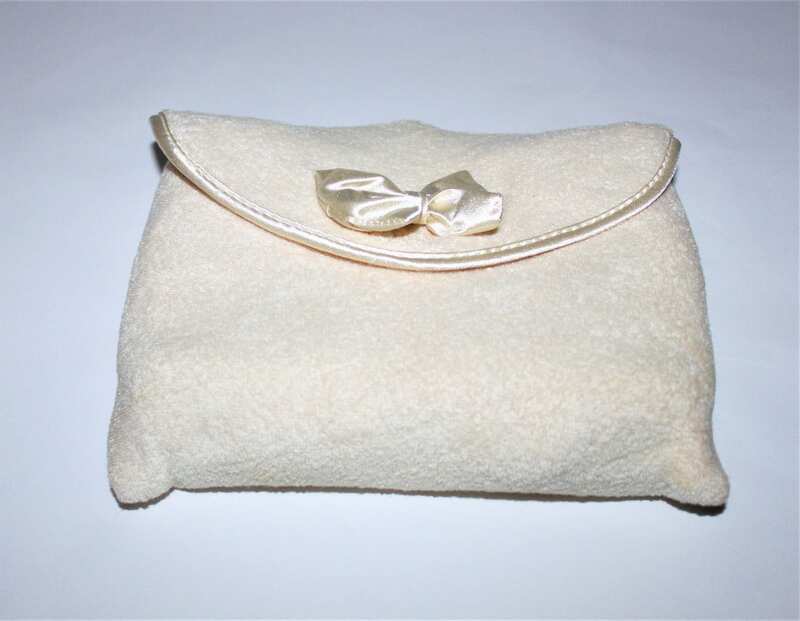 It is likely newer than the purse as it has a Velcro enclosure and serged seams. Measures: 7” high, 7 ½” wide and expands to 2 ¼” deep. Handle beadwork is 12” long. Condition: This item is in very good vintage condition. Please see all photos as they are part of the description. There are a few stitches on the interior pocket pulled away from one corner. The lining is free of stains and discoloration. There are approx 5 missing beads from the handle. There may have been rhinestones in the clasp and if so there are no longer there. To see more of our wonderful Antique and Vintage Women’s Fashions & Jewel items please click the link below.